Jazzmanix was founded in 1995 as a Music Department society at the University of Southampton. 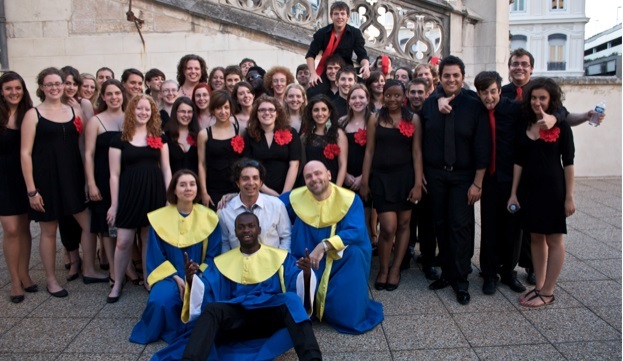 Under the direction of Dr Jose Bowen, the choir performed with jazz giants such as Dave Brubeck and Norma Winstone, and recorded two CDs with the Southampton University Jazz Orchestra (SUJO). After Dr Bowen left the University, the choir continued to enjoy success under the leadership of two former music students, Mark Dickman and Jo Mattock. Mark's flair for arranging is displayed on University Jazz, a twelve track CD recorded in May 2000 in collaboration with SUJO once again. Under his direction the choir and jazz orchestra toured Holland and also performed as part of the Sandown Summer Festival on the Isle of Wight. Jo Mattock took over the reins in September 2001 and brought a fresh wave of energy to the choir. Jazzmanix performed in numerous charity concerts along the South Coast (raising over £1000 for Children In Need), and even sang in front of royalty at the inauguration of two P&AMP;O cruise liners at Southampton Docks. Jo also lead the choir to foreign territory, ending her two-year stint as Musical Director in glorious style in Lausanne as part of the 2003 Summer Tour to Switzerland. Her infectious enthusiasm is most evident on the choir's fourth CD, Feelin' Good!. The two years starting in September 2003 were marked by the style of Ed Gray who combined his musical direction of the choir with his skillful piano-playing and song-writing. Another CD was recorded with the title A little bit of faith, and the choir put on a number of volunteer performances at local primary schools, care homes and Winchester Prison. Jazzmanix continued to go on annual tours, making an appearance at the Edinburgh Fringe Festival in 2004 and singing on Barcelona's sun-kissed beaches in July 2005. 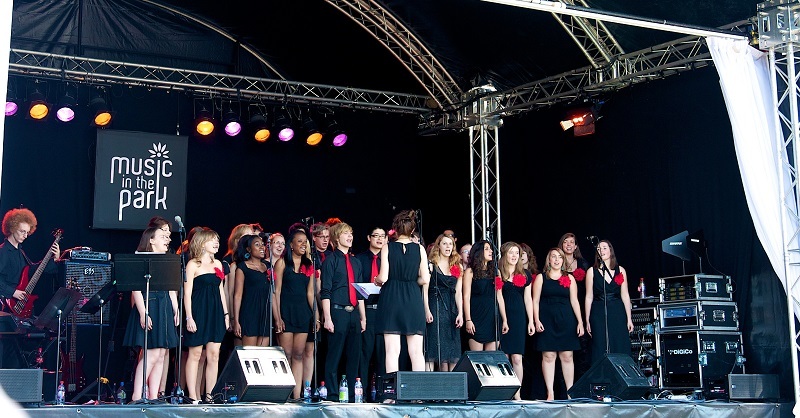 During this time, the choir reached the final of the national Gospel Entertainment Music Awards, and was also judged to be the "Best Society at the University of Southampton" by the Students' Union Clubs & Societies Awards for two years in a row! After Ed, Adam Street took over as musical director for a year, before handing over to Rosie Austin in October 2006. The choir's charitable performances continued, putting on two charity concerts in Romsey: firstly to raise funds for the restoration of Romsey Abbey's bellframe, and then again a year later for Romsey Abbey Primary School's building fund. Jazzmanix also performed in two major Jazz festivals under Rosie's direction: North Sea Jazz Festival in Holland in July 2007, and the Montreux Jazz Festival in July 2008. Constantinos Andronikou took over as Musical Director for 2008/09 and led the choir in a very successful performance at the Royal Festival Hall in London, as well as a summer tour to the Vienne Jazz Festival and a joint concert in Lyon with the Kwassio Gospel Choir. Following in the footsteps of Constantinos was the boundless energy of David Corck-Adelman, who took over as Musical Director for 2009/10. In this year the choir enjoyed many great performances, notably during the choir's tour to Vienna and Prague, where Jazzmanix sang to a crowd of over 1000 as part of the world cup festivities in Prague Old Town Square. David's place was taken by Naomi Gibb for the remainder of 2010, and by three joint MDs for the rest of the 2010/2011 academic year. These were Louise Hunt, Natasha Willis and Georgina Challands and they did a fantastic job of jointly directing the choir, including another tour to the Montreux Jazz festival. Sadly all three MDs had to leave the choir after the 2010/2011 year, and they were followed by Tom Denton. A long-time Jazzmanix member, Tommy had fulfilled just about every other role within the choir, and his enthusiasm and experience were evident in his musical directing. Highlights from this year included a vocal workshop run by renowned Gospel singer Geraldine Latty, and a Spring concert in collaboration with the Wildern Community Choir, and the year was rounded off with a tour to Barcelona. In 2012/2013, Jazzmanix was jointly led by Naomi Hickman and Marios Stylianou, and was the largest it has been for several years. The full force of the choir was appreciated in sell-out concerts at the Turner Sims, the Southampton City Art Gallery and on a successful tour to Vienne. The 2013/2014 year saw Evie Asio-Okwalinga and Joe Nurse take over as MDs of Jazzmanix. Along with the ever-popular Winter and Summer concerts in Turner Sims, Winchester's Theatre Royal made an excellent venue for the Sprng concert, and performances during the choir's summer tour to Paris included a concert at Disneyland. Sadly, Evie left the choir after 2013/2014, but Joe Nurse stayed to lead the choir for the following year. 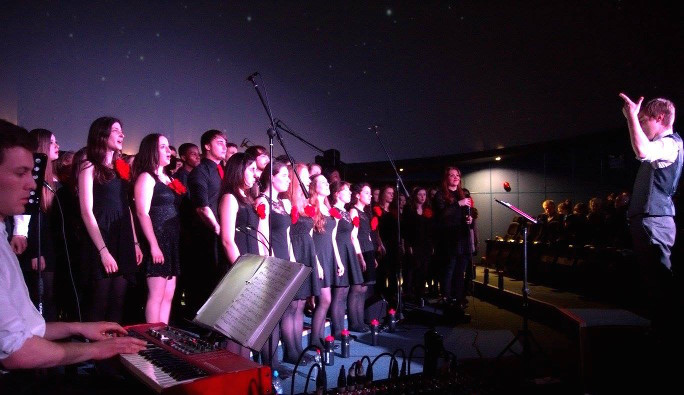 2014/2015 saw the choir return to Winchester for the Spring concert, this time at the Winchester Science Centre & Planetarium. The year finished with a tour to Belgium, with concerts in a range of locations including Ghent and Ypres. During 2015/2016, Becky Griffin and Jonathan Sandman took over as the Musical Directors! In addition to the Winter and Summer concerts at Turner Sims, the Spring concert was held at the Domus within Beaulieu located in the New Forest. At the end of the academic year Jazzmanix toured Berlin with three amazing performances in various locations.